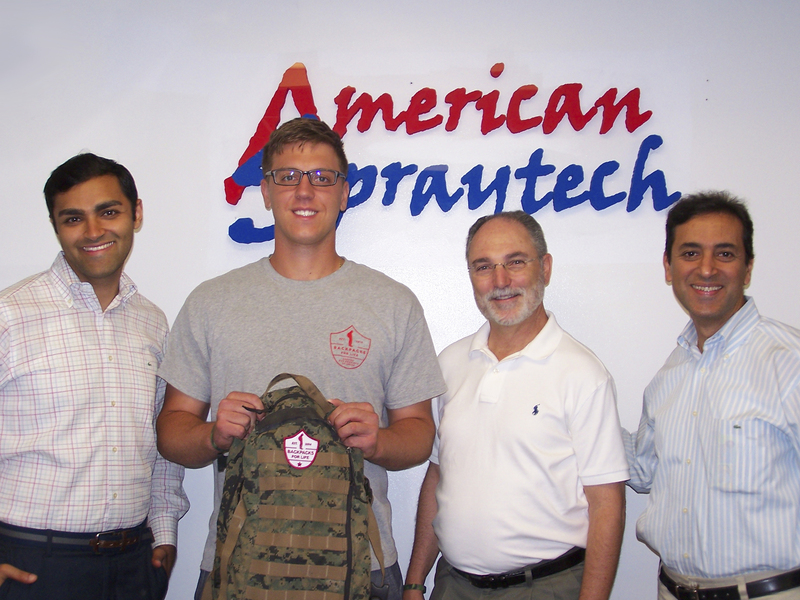 American Spraytech, a New Jersey-based contract manufacturer of consumer aerosol products, has joined forces with Backpacks for Life, a local charity devoted to helping homeless vets, by donating personal care items for distribution. Items include body sprays, sunscreens and anti-itch sprays. The products will be included in new backpacks distributed to homeless U.S. veterans of all foreign wars. 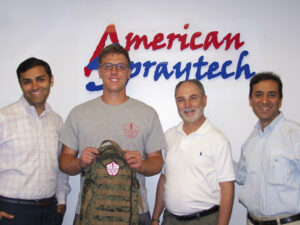 Bob Daria and Manav Lalwani of American Spraytech load products destined for homeless vets. Marine reservist from Verona, NJ who, upon returning from a tour in Afghanistan, saw a homeless vet in need. He returned the next day with his backpack full of items he thought would help the man; that was the beginning of backpack distributions to homeless vets filled with products for their everyday use. More info: www.backpacksforlife.org.